When faced with new information, it’s important to consider the source. Stop for a moment and examine whether the material is coming from someone with YOUR best interests at heart. 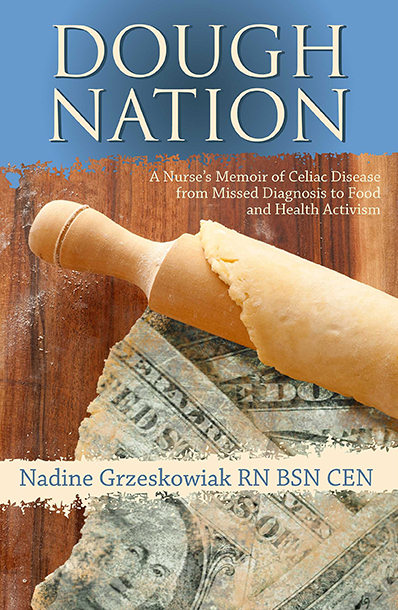 The Gluten Free RN has just returned from the Colombia University Celiac Disease Conference, and she is breaking down the information presented to determine what’s useful—and what might be tainted by the pharmaceutical or food industry agenda. Nadine begins with a workshop led by General Mills that offered some questionable information about how grains are processed at their factories and a talk led by University of Chicago faculty on the topic of a gluten challenge. She also speaks to the differences between celiac management in the US and countries with universal healthcare like Italy and Australia. Nadine covers new testing that detects gluten exposure in stool or urine and what that reveals about the systemic nature of gluten damage as well as her take on practitioners who perpetuate the myth that grains are necessary and nutritious. Listen in for the Gluten Free RN’s insight around pharmaceutical treatments for celiac disease and the danger in volunteering for studies backed by drug companies.